Regardless of whether you’re new to using contact lenses or are a contact lens veteran, we’ve composed this handy guide to help with inserting contact lenses and how to handle them properly. If you have opted for reusable contact lenses rather than daily disposable; it’s important to understand how to look after them effectively. Contact lenses are delicate accessories that have to be cared for appropriately in order to promote safe and comfortable wear with every use. 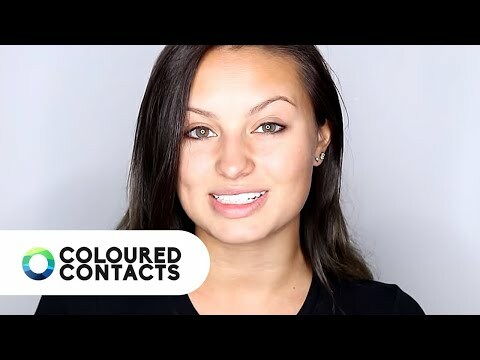 By following the next few steps, we can help you get the most out of your new coloured contact lenses while maintaining their comfort and durability. So, you’ve prepared your contact lenses properly and you are ready to try them on. If you haven’t already, we invite you to check our contact lens insertion videos below. You’re sure to pick up some top advice from our affiliates who are experienced contact lens users. With your other hand, lower your bottom eyelid and gently place the contact lens on to your eye. If the lens falls out be sure to clean it thoroughly in solution. Ensure that it is the correct way up before attempting to re-insert the lens. Once the lens is on your eye, try to avoid blinking and look around gently so that the contact lens can position itself correctly. Now your contact lenses are in, you can enjoy showing them off! Remember to not wear them longer than our recommended 8-hour duration. With one hand lower your bottom eyelid of the lens you wish to remove. With your other hand, use your index finger to gently move the contact lenses towards your lower eyelid. As the contact lens starts to make contact with your bottom eyelid and begins to fold, gently remove the lens from your eye. Begin cleaning your lenses and leave them to rest in contact lens solution. 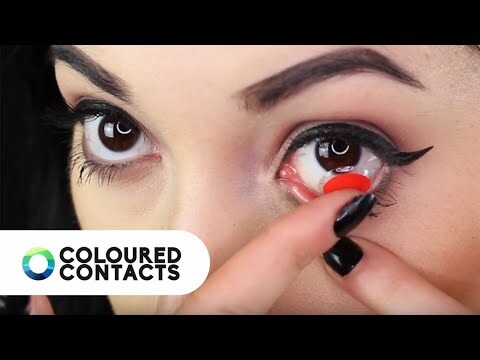 Remember that once you have removed your coloured contact lenses, you should give them to a quick clean and then return them to a freshly cleaned contact lens case. An essential part of the handling contact lenses is that you should always wash your hands. It is paramount that you always wash or clean your hands suitably before handling your contacts. Bacteria can be easily spread and this where and how most eye infections can be caused. This applies to the inserting, removing and transporting stages of contact lens usage. One common misconception is that it’s only important to wash your hands; however, it is just as important to dry your hands during the process. If your hands aren’t washed thoroughly and you handle lenses with wet hands, it’s possible to transfer those bacteria. The best technique is to wash hands with soap and water before thoroughly drying your hands before handling. You should also make sure that you are using fingertips to handle the contact lenses. Sharp fingernails are a common cause of contact lens tears. 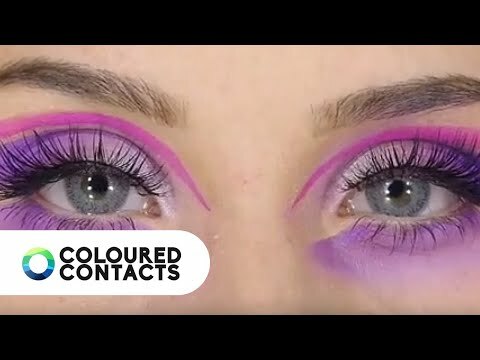 For extra information on care and aftercare of coloured contact lenses, make sure to check out our fully dedicated care guides page. It's very important that you know how to handle contact lenses correctly. We've created this handy guide to help you with inserting and removing coloured contacts.